Now You See It: The Opening Sequence! Summit Entertainment’s Now You See Me is one of the most intriguing movies of the summer, what with its blend of illusions and heists. After two terrific trailers, the movie’s opening sequence has been released online. It’s a clever introduction to the main characters and definitely draws us into the movie. 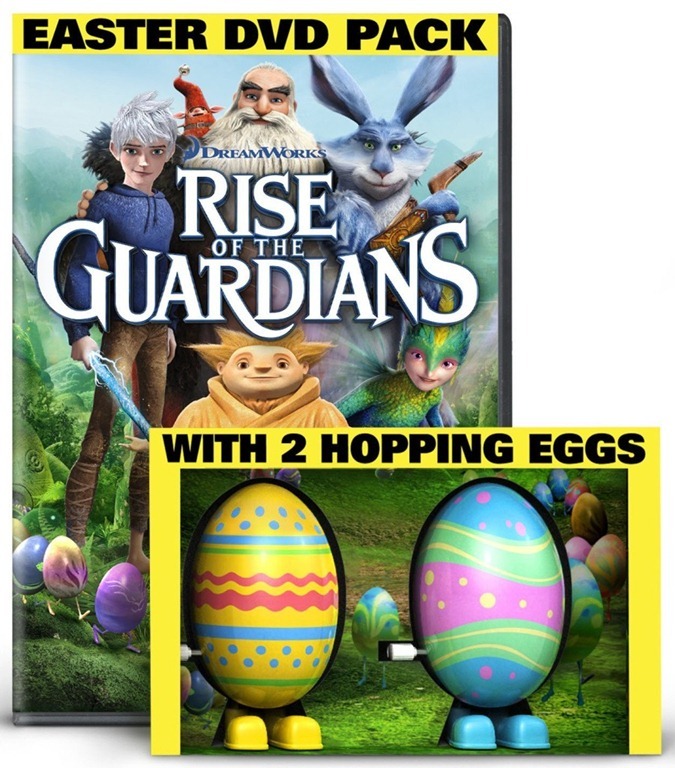 DVD Review: Rise of the Guardians – 2012’s Best Animated Feature Comes to Home Video! Rise of the Guardians was the best animated feature of 2012 – no matter what the Academy might have thought. It’s smart enough for older kids-at-heart and filled with lots of action and cool stuff to engage younger viewers. That it didn’t even get an Oscar® nomination is sad, but that won’t matter to most of its audience – and the Spring Gift Pack DVD release also features some cool video features, a nifty toy and some cool DIY stuff in its DVD-ROM content. Cool Trailer: Now You See Me! Now You See Me is scheduled to be released on June 7, 2013. It’s magic! Rango DVD Yields Unexpected Wonderfulness! After first encountering Rango’s brilliance in 3D, I was pleased to discover that the 2D version on the DVD makes up for the loss of that extra dimension by being bright, sharp and gorgeous. An unexpected plus was the inclusion of an extra feature that’s not listed on the cover – two, if you include an extended version of the film. Abigail BrelsinBill NighyGore VerbinskiIsla FisherJohnny DeppNickelodeon MoviesParamount PicturesRango! 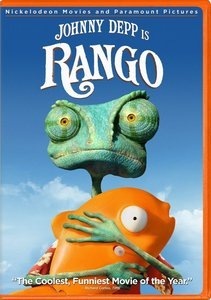 Rango: Spry, Twisted and Mythic! With its awesome animation and vivid colors, Rango is flashy enough to amuse kids [who won’t understand much of it] – but its sophisticated storytelling and references make it a joy for serious film buffs. Abigail BreslinBill NighyGore VerbinskiIsla FisherJohnny DeppNed BeattyNickelodeonParamountRango! Johnny Depp is a busy, busy man. Follow the jump to see the original announcement piece and first Rango trailer. Abigail BreslinBill NighyClaudia BlackGore VerbinskiIsla FisherJohnny DeppNickelodeonParamount PicturesRango! 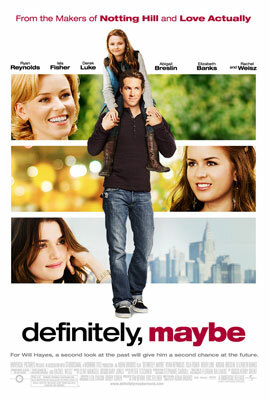 Definitely, Maybe is a smart, witty, genuinely funny romantic comedy with intelligent plotting, real conversations and not one, but two happy endings – though not necessarily the kind of happy endings that you find in the usual Hollywood romcom.